1. Prices FOB 2. Payment Terms 3. Handling Time 4. Minimum Order Quantity (MOQ) 5. Specified delivery date from the Date of Order We would appreciate a quick reply. The Oasis Agro Pakistan (OAP) is a private limited company which provides excellent services to farmers and rural areas via our group of farm consultants that are situated throughout the Pakistan. Each of these practices acts as a farm consultancy unit consisting of farm consultants that confirms the rules and style laid out in their agreements with Oasis Agro Pakistan. In return they can develop their own independent practices as they see fit. Our farm consultants are working mainly in different areas of Sindh, KPK and Punjab under the umbrella of Oasis Agro Industries of Pakistan. OAP has a wide range of consultants who are specialized in most aspects of Pakistani agriculture/farming system, including dairy farming, livestock and poultry farming, arable cropping, organic farming, agricultural planning and agribusinesses. OAP itself provides a strong business and planning input with its clients. While a strong technical competence is essential for running a farming enterprise. It is the business acumen of the managers that will create the profits and drive the successful enterprise forward. OAP consultants embrace both the technical and business skills required to service modern farming requirements. Assessing business strategy is an essential part of the work we undertake. Allied to this process, OAP consultants are regularly involved both in tendering for new opportunities and in the reorganization of the current business to obtain the best from the resources available. 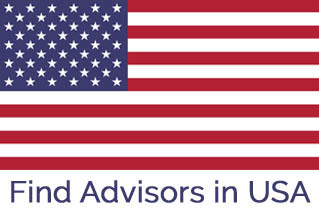 OAP maintains good relationships with the agricultural banks, other professionals, and service industries. Regular training and updating ensures that the consultants are up to speed with technical information and the regulatory demands of modern business. Independent thinking and the ability to explore the unusual are traits of OAP staff, with many running other businesses in their own right. Address: Noon Village , Islamabad and Village Buchaal Kalan, Kalar Kahar, Chakwal. Noon Village , Islamabad and Village Buchaal Kalan, Kalar Kahar, Chakwal.